I run a variety of workshops nationally, these involve showing methods of contemporary stitch, dyeing your own fabrics and construction ideas. I also run day workshops and talks as a visiting artist for colleges, schools and groups. 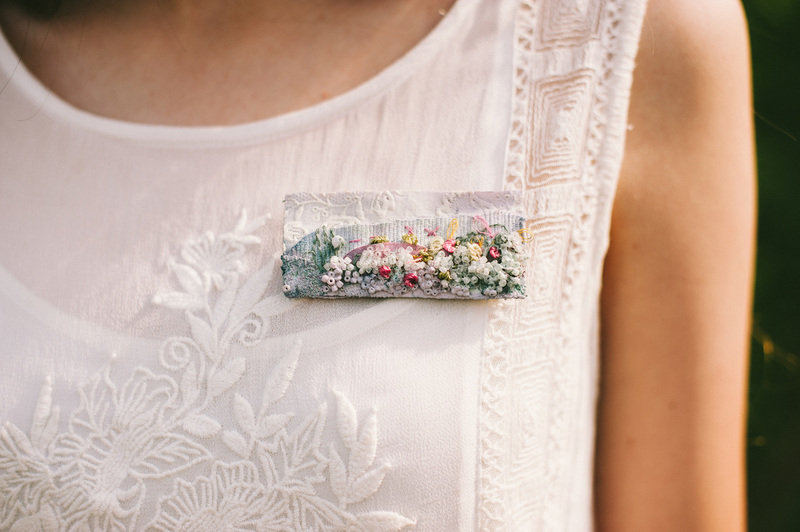 Create pretty summer floral accessories and mini meadow landscapes, using hand stitch and fabric manipulation techniques. Learn my processes and experiment with embellishments. You will be able to make a variety of pieces including rings, headbands or brooches. 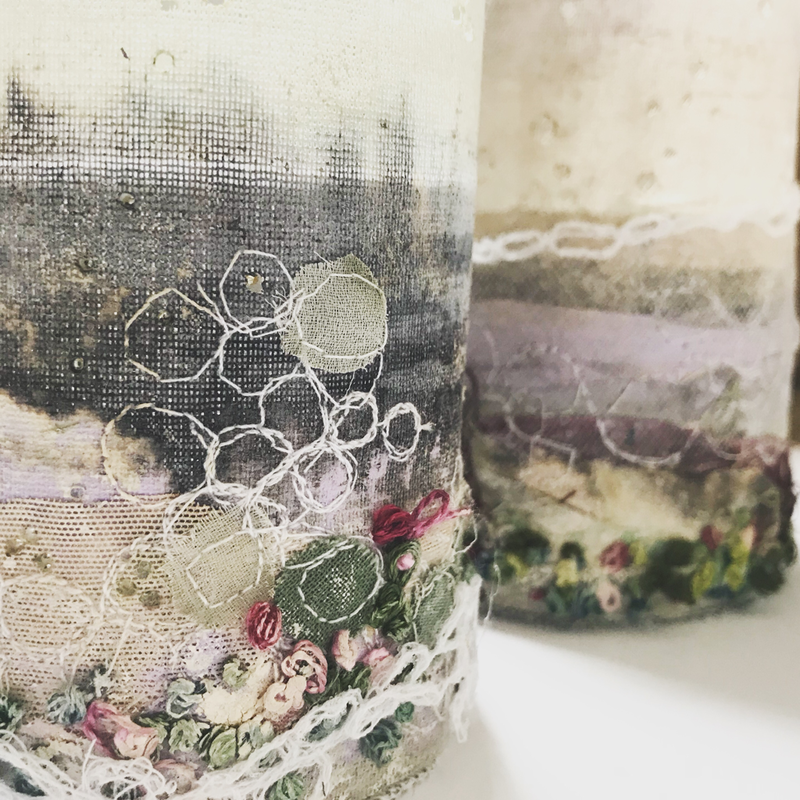 Create your own textile vase using contemporary mixed media techniques including dissolvable fabric, sculptural appliqué, machine embroidery and hand stitch. During the day you will also experiment with paint, ink and dyes to ensure each piece is unique. Perfect for all abilities. Using bleach, ink and paint to decorate a found shirt trim. Choose from a sleeve, cuff or collar to embellish with machine stitch and hand embroidery taking inspiration from farming, pastures and nature to create a bespoke decorative piece. Children will decorate and experiment mark making on different fabrics, surfaces and recycled materials mixing methods such as, paint, printing with unusual objects and drawing with handmade tools. We will use tactile paints and unusual dyes to colour our work including berries and tea bags. Wrapping twigs and decorating our pieces with chunky stitch. The aim is to push the boundaries and be adventurous creating mixed media pieces out of everyday things found in their home.